This book’s subtitle is deceptive; it is not a volume about business ethics so much as a fascinating piece of social history. Ten great Victorian entrepreneurs are described in turn, with very little attempt to add any interpretation. The names of the ten speak for themselves: Thomas Holloway, Titus Salt, Samuel Morley, George Palmer, Jeremiah James Colman, Andrew Carnegie, George Cadbury, Joseph Rowntree, Jesse Boot, and William Hesketh Lever. Each chapter takes an essentially chronological view, with many delightful details set alongside a sweeping narrative of business-building, all within the context of the major social and economic changes that the Victorian era brought. I was struck by how deeply these ten particular accounts of enterprise intersected with my own life history. For example, Thomas Holloway founded Holloway College in Egham, Surrey, which is very near where I grew up; the Colman factory site in Norwich, Nofolk, included nearby some purpose-built housing, one of which made a fine (albeit small) home for me and my wife when we were first married; and the Joseph Rowntree Charitable Trust (JRCT) is now a member of the Church Investors Group (CIG), which I chair, and one of the CIG Trustees is a JRCT nominee. More generally, many of the household products made or retailed by these companies are still to be found on our larder shelves. This is the kind of history that really does overlap with our lives in an ordinary, down-to-earth way. While Bradley himself does not offer much interpretation or synthesis, I found plenty of themes that emerged. First, each story included accounts of what I call ‘attentiveness’: the ability to spot an opportunity and to be persistent in following it up. The entrepreneur is not someone who will carefully construct a five-year strategic plan for the future. Rather, she or he will be alive to opportunities. For example, we read of Titus Salt: ‘One day in 1834, while on a buying visit to Liverpool docks, he noticed a pile of 300 or so dirty-looking bales lying in a corner of a warehouse. They turned out to be fleeces of the alpaca…’ (p.28). As the account unfolds we discover how an attentive entrepreneur made the most of an opportunity that started a new industry. The technological advances needed came from someone else (the inventor), while the entrepreneur had eyes on changes in society, on ways in which resources could be mobilized, and how people’s imaginations could be caught and aspirations met. Secondly, the connection to a certain kind of Christianity is very striking. Quakerism and Congregationalism, with their focus on temperate living, self-help, lack of privilege and simple hard work had a tremendously formative influence on all these ten men. Although they were restless in seeking out profitable business opportunities and in being competitive, they were never personally greedy for riches. Their lifestyles were in many ways frugal, and they all showed extraordinary generosity as benefactors. Thirdly, all of them were to a greater or lesser extent paternalistic. In nearly all of the businesses described there is a ‘family’ feel, whether through care of employees who fell ill or through the well-known model villages such as Saltaire, Bournville, Earswick and Port Sunlight. One of the significant things about this is the way it anchors a business in a locality, and gives depth to its history. Although Bradley does not discuss this aspect, it seems to me that this ‘rootedness’ of enterprises is one of the hallmarks of the Victorian era. These were companies that had a good sense of where they belonged, both in time and in place, something that is generally much weaker now, when production facilities are relocated because of marginal cost advantages. It is simply inconceivable that George Cadbury would have moved his Bournville factory to Eastern Europe or the Far East to reduce costs. Fourthly, each of these ten men was involved to some extent in public life. They wanted to make a difference to society, often in local or national politics. They saw business as an integrated part of how society works, rather than an ‘external’ source of tax revenue or some kind of threat to government or the people. I enjoyed this book, but would have valued some kind of attempt to interpret these themes. Even more interesting would have been a discussion about how entrepreneurs today might help society rediscover its roots in time and place, but without the paternalistic baggage that belongs to a different era. Although it is tempting to describe the Victorian period as a golden age for enterprise, the truth is that businesses such as Facebook and Google have stories that are just as fascinating. However, such analysis doubtless belongs in a different book. The writing style is clear and easy to read. Most of the book was written in 1987, with additional material added in 2007. It is therefore occasionally out of date, for example when describing the Cadbury business of today. 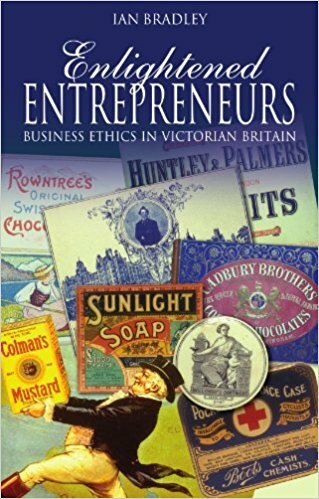 “Enlightened Entrepreneurs: business ethics in Victorian Britain” was published in 2007 (Revised Ed.) by Lion Books (ISBN-10: 0745952712). 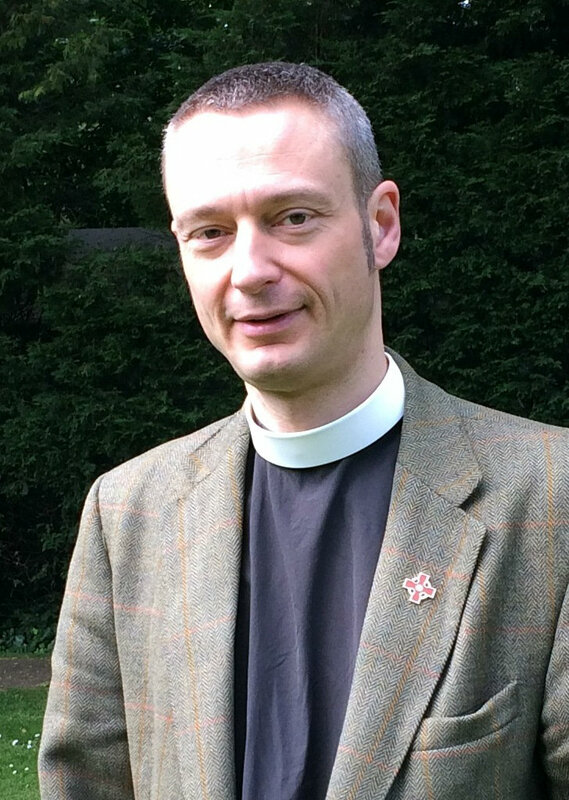 Edward Carter has been a Canon Theolgian at Chelmsford Cathedral since 2012, having previously been a parish priest in Oxfordshire, a Minor Canon at St George’s Windsor and a curate in Norwich. Prior to ordination he worked for small companies and ran his own business. Since 2010 he has been a Trustee of the Church of England’s CBF Funds, which has around £2bn of church capital under investment. He also serves on the Ethical Investment Advisory Group of the Church of England. His research interests include a theology of enterprise, and his hobbies include board-games, volleyball and film-making. He is married to Sarah and they have two adult sons.